It seems like the Clyde Court Disrupt wasn’t just a quick pop in today’s ball game. 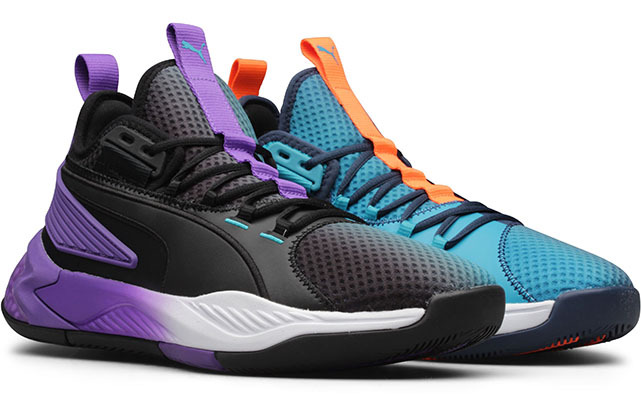 The comeback is real… And it continues with the spanking new Puma Uproar. 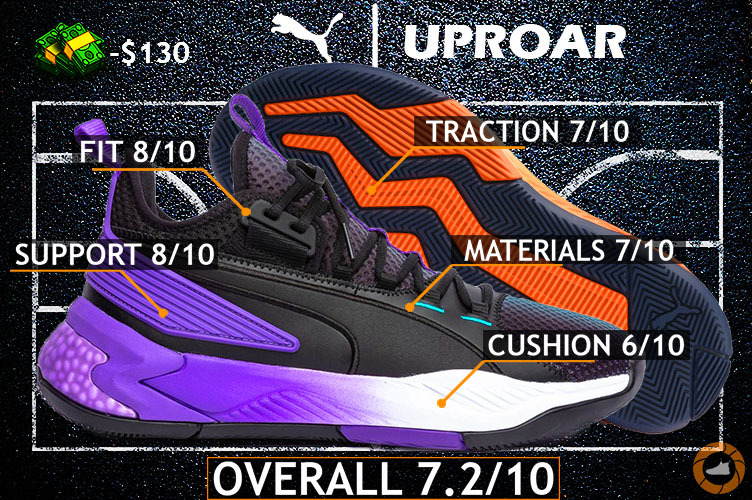 Welcome to the Puma Uproar Performance Review. Let’s get it! Starting off with materials, we do have a rather traditional synthetic leather & mesh set-up covering the whole upper. It’s not real leather or some type of premium mesh out there, yet, it does feel solid in-hand and even better on foot. So no complains here. Especially when spending $130 which in today’s game it’s considered to be a budget-friendly deal. What I love about this upper is that synthetic leather only covers areas where you need extra support (side panels & heel) leaving the ankle and toe sections with mesh. I do prefer having these areas of my foot to be less restricted, so that way I could get more of a natural transition within the shoe. While more rigid materials like, in this case, synthetic leather, are keeping my foot safely onto the footbed. That being said, the Puma Uproar does it all for me, and I love it. The mesh on these is pretty much paper thin so long term longevity is questionable. Although I can’t spot any signs of wear or tear after playing a few weeks in them, I guess it’s all right then. Let me know in the comment section if you own a pear. 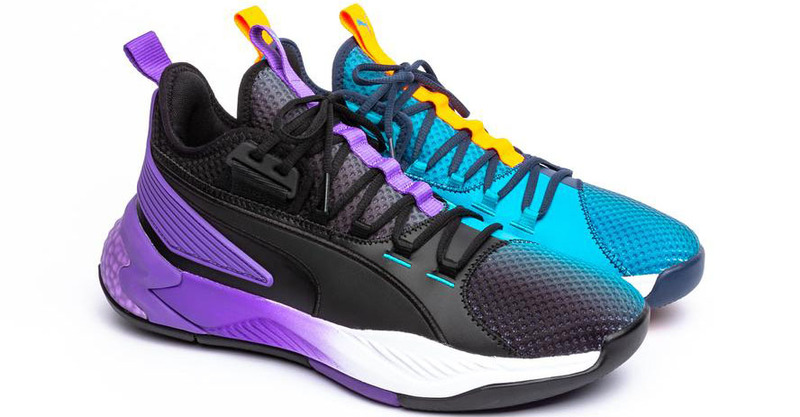 So the Puma Uproar is rocking how they call the HYBRID cushion tooling. It connects both IGNITE & NRGY foams to make a dual-density set-up. Yeah, it sounds like we’re talking about electric cars at this point. All of that mad branding just pumps you up for something really awesome. Unfortunately, it all goes away once you put them on, at least for me it did. I can only recommend this stuff for players who prefer having a low profile/responsive/quick cushioning with minimum impact protection. A third of the midsole going from the toe section all the way to the end of the midfoot is IGNITE foam. It does have just a tad bit of compression but mainly, it’s all about responsiveness & court feel. Whereas the back of the midsole packs NRGY foam that looks like a bad knockoff of BOOST. Now – this is where you can feel that midsole isn’t completely dead. There’s a moderate amount of compression which I could live with. Still, I need more. More everywhere. It’s a combination of herringbone & line pattern. I bet it would have been ten times better to go all in with herringbone – no lines or other bullsh*t – since this stuff is far from a top-notch performance. Get ready to put out your sole wiping A game every single night – you gonna need that. Dead ball – WIPE. Shooting free throws – WIPE. Not playing defense like James Harden – you better wipe then. In other words, if you keep wiping them bottoms, they gonna keep gripping. Cleans courts where a different story – bite was solid all throughout. Yet, it was not completely on that “straight up glue” level. Outdoors? Well, the rubber itself is pretty soft but the pattern is actually really deep so you should get some pretty decent amount of runs in them for sure. As I mentioned before, the upper on the Uproar offers both comfort/pliability & containment where needed most – full experience straight out of the box. 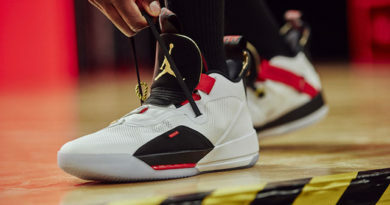 Same goes for internal, you do have more of a budget version of what Jordan brand usually has to offer in terms of internal cushioning (talking about those pillows), but that doesn’t make them play that much noticeably less comfortable in any means. Yeah, it’s a plainer set-up but it still works perfectly fine by giving you that soft on-foot sensation & one-to-one fit. The lacing system is nothing more than a traditional loop type of contraption which is far away from what’s popping right now, though, performance is what keeps this old school stuff on top. It burrito hugs your foot once tightened up to become a part of your body or as close to that as possible. And if that’s not enough for you, there’s an extra reinforced eyelet on the very top for a complete lockdown. As far as the actual sizing goes, I would recommend going true to your size if really snug fit is what you’re going for. The construction of the shoe is rather snug even after a few weeks playing in them. So for wide footers or those who like a bit roomier fit, I suggest going 1/2 a size up. With the combination of synthetic paneling on the sides, a rather wide/flat platform & protruded midsole that layers over on the upper in charge, it’s safe to say that lateral coverage is rock solid. Maybe these bad boys would work out for Zion, huh? The boy has some serious Shaq-like power. Other than that – everything comes in standard as for support features. 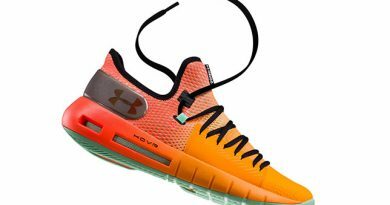 You do get an external heel counter and already covered lacing system which makes sure you don’t receive any sliding and whatnot. 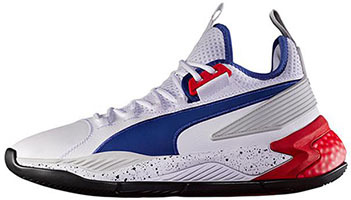 Regardless of them being a low-top shoe, the Puma Uproar can easily hold up a big man, no problem. Just look at Demarcus Cousins breaking opponent’s ankles in them. The sneaker game currently scratching the sealing of popularity and the big brands controlling it all, it’s incredibly hard for newcomers or, in this case, brand to make a comeback into the business. However, having such a great team full of experienced designers and first-class athletes standing behind your back, Puma is definitely ready to stay for a long time. And the Uproar is the latest proof of that. Yeah, the shoe has a lot of room for feature improvements starting from implementing more premium materials to tweaking traction pattern to better utilizing their cushion tech. And even though it won’t make a top 10 list – I had tons of fun to play in them. At the end of the day, it’s a solid performer with a bright feature looking down the road. Daumantas Rimkus on NIKE KOBE AD NXT 360 REVIEW – The Kobe-iest Kobe Shoe! 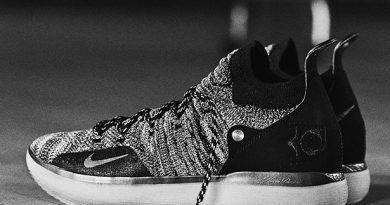 Joey Hager on NIKE KOBE AD NXT 360 REVIEW – The Kobe-iest Kobe Shoe! Daumantas Rimkus on ANTA KT4 – The Streak Continuous! Azher on ANTA KT4 – The Streak Continuous!